For better or worse, you have to begin by knowing where you stand. It doesn't have to be complicated. Make a simple spreadsheet with your income in one column and all fixed expenses in the other. Allocate the remainder to savings and necessary expenses, such as food and clothing. Do you prefer digital solutions? There's an app for that. In fact, there are a number of great budgeting apps on the market that range from basic to professional-level. Nearly every business and financial institution today accepts online payments. With only a few mouse clicks, you can set up automatic bill payments using the date and amount of your choice. Do you prefer a more hands-on method of paying bills? Set due date reminders in the electronic calendar of your computer, tablet or smartphone. According to Experian, one of the "Big 3" credit reporting agencies, credit card default rates recently hit a six-year high. 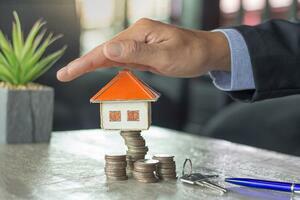 Lenders are more willing to be flexible if it means avoiding write-offs. There's no rule that says you have to make monthly payments in one lump sum. It may be easier for your budget to make small payments weekly or biweekly. Do your payment due dates conflict with your paycheck schedule? Contact lenders and ask them to change the date to a more compatible one. While consumer debt remains high, credit card companies are still fiercely competitive for your business. You can sometimes leverage that to your advantage by negotiating to have late penalties or annual fees waived or even for a lower interest rate. Your money isn't going to automatically work for you. It's up to you to decide what your financial priorities are and the best route to accomplish your goals. Do you want to buy a new or used car? Take a trip to Europe? Retire at 50? The more specific you are with your goals, the better equipped you are to design a plan to meet them. You'll also be more motivated when you can visualize the end of the rainbow. Your credit score is like gold, so keep it polished. Federal law entitles you to a free copy of your credit report every year from each of the "Big 3" agencies. Be sure to request your copies each year and follow up on any mistakes or discrepancies. Our Springs luxury apartment communities offer convenient online rent payment for your peace of mind. Talk to a member of our on-site management team for more information.